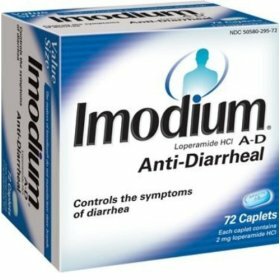 Letters from Mom 1991-1993: Imodium A.D. Awoke not feeling well. Took Tylenol and later anti-nausea medicine. Finally able to eat a little cereal, later some yogurt. At 5 had a small sandwich for dinner. Diarrhea was water all day and often. I fear a reaction to the kemo. I take Imodium A.D. and it seems to improve. I finally get out of bed at 7 p.m. and come downstairs. I feel pretty good. Even my chest doesn't hurt. Too bad we don't make it to the special Cowboys and Indians square dance. We watch a movie instead. Just a few weeks into the 1993 and days into her final journal, and it is getting harder and harder to continue my blog. It is not pleasant to hear about someone you love suffering. But Mom made the commitment to post every single day, no matter how awful she was feeling, and I commit to finishing this blog in her honor.